Formerly a hotel before becoming nurses accommodation for workers at the former Middlesex Hospital, York House underwent refurbishment in to its present standing as a high end residential red brick mansion block, a project that completed in 1998 by Berkeley Homes. 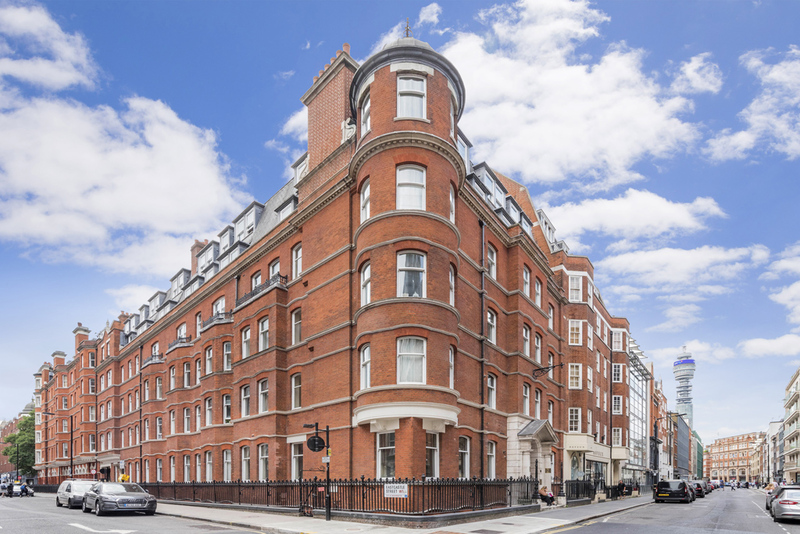 Many of the properties were sold to Asian investors back then, however, most have now been resold with the majority of owners now residing within this beautiful red brick mansion building. Located on the corner of Berners Street heading along Eastcastle Street up to, Newman Street it is ideally situated for all the West End has to offer. Our intimate knowledge of the building was helped when one of the Directors at Hudsons lived in the building for five years. Hudsons have dealt with almost all of the flats here either by letting and managing them or by selling the vast majority, some a few times over such is our knowledge of the individual flats and the building. Our director recalls "I used to love getting up early on the weekend and walking south through Soho onto the Embankment". "It would take about 20 minutes and you could feel Soho had only just stopped a couple of hours before"
There are 46 flats in the building offering a range of accommodation from 1 bedroom flats to 3 bedroom penthouses. The building provides easy access to the restaurants, theatres and shopping of the West End. An enviable location just a short walk from renowned eateries on Charlotte Street, Great Titchfield Street and Soho. Regents Park is a short stroll away. The main entrance is at 12 Berners Street - this is where the porters office is located with service 7 days a week. They have two in Peter and William who help keep the building in top condition, collect post and your domestic waste. There are three other entrances, two on Eastcastle Street and one on Newman Street. Most of the flats have lovely large sash windows, excellent ceiling heights and original features. Nearest tubes are Oxford Circus and Tottenham Court Road but why not walk its so centrally located. Crossrail services will be available at Tottenham Court Road station from 2018 which will offer a service to Heathrow in approx. 30 minutes. Do you live in York House? To find out how much your property is worth, contact us below for a free valuation. Or click here to for a free online valuation.